The story of coronary artery disease (CAD) begins with where artery blockages occur and where they don't. Typically, blockages occur in the coronary arteries on the outer surface of the heart. However, blockages are not often found in arteries or veins in any other part of the body (though carotid blockages are becoming more common). Furthermore, the CAD blockages do not naturally occur in other species. What's different about the coronary arteries of the human species that make them vulnerable to heart disease? 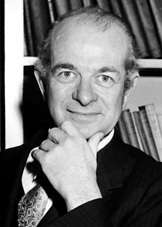 To explain the difference, Linus Pauling posited a theory, his Unified Theory of Heart Disease. Pauling observed that the CAD blockages occur in areas of high mechanical stress. Due to their location, these arteries are subject to continuous squeezing, pulling, and tugging from the ceaseless contractions of the heart. Like a garden hose that's repeatedly compressed or squeezed, this mechanical stress has the potential for causing damage. Normally, the body quickly repairs that damage, and in most other mammals (those that do not naturally suffer from CAD), the repair is seamless. In humans, however, the repeated repair process leads to CAD. Why? One clue may involve vitamin C. Unlike almost every other mammal, humans do not produce their own supply of vitamin C. Instead, we obtain our vitamin C from the foods we eat. Yet vitamin C is absolutely essential for the production and repair of collagen, a substance found in just about every body tissue. Collagen gives body tissues their structure and strength. In short, without vitamin C, collagen cannot be produced or repaired. Pauling put these facts together and concluded that chronically low levels of vitamin C in the body constitute the main cause of heart disease. He explained that low levels of vitamin C (labeled by Pauling as chronic scurvy) lead to weak and easily damaged coronary arteries. Weak coronary arteries are more likely to be damaged by the mechanical stresses of the heart, and damaged tissues in the coronary arteries need repair. When vitamin C levels in the blood remain low, the body's normal repair process, which uses vitamin C, is unavailable. But the body has a back up repair process that involves a cholesterol molecule called lipoprotein (a). This inferior back up process does a "sloppy" repair job. Continuous repetition of this backup damage/repair cycle results in coronary artery plaque and causes atherosclerosis and heart disease.